We’ve officially entered spring—a time when flowers bloom, the air smells sweet, families play, and vibrant colors on hillsides come alive! It's also the time we prepare to celebrate Easter! The cross is a symbol of hope and life, because we have a risen Savior and living hope. 1 Timothy 4:10 says, “We have put our hope in the living God, who is the Savior of all people.” Because of Jesus, we have a hope that gives us power for today and confidence for tomorrow. With just weeks left before Easter, ask God to give you the name of someone that you should invite to hear the Easter story. Who in your life—whether a friend, family member, spouse, co-worker, neighbor, or casual acquaintance—could benefit from experiencing a resurrected life? Identify that person and begin praying for them. Don’t miss this chance to share the hope of Jesus with at least one person this Easter. F – Fill God's house with 40,000 worshipers at our weekend services by our 40th anniversary (2020). March started off with a celebration of our existing campuses and great anticipation for our newest campus on the horizon! This month, Saddleback Irvine North celebrated their 2-year anniversary on March 5th, and Saddleback Corona celebrated nine years. 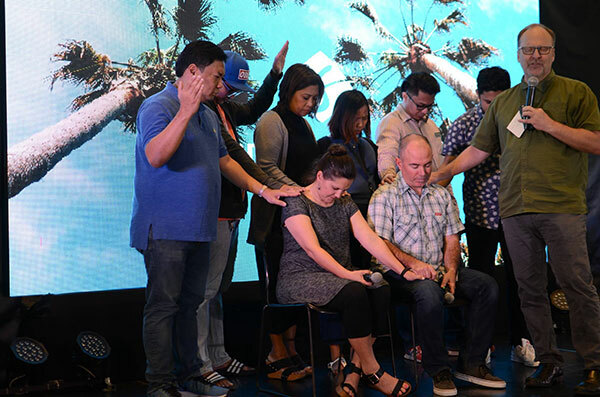 Our South Manila campus celebrated the commissioning of their new campus pastor, long time Saddleback pastor and student ministry leader, Matt Hall. After serving as a pastor on staff for 14 years, Matt and his wife Natalie obediently answered God’s call and relocated their family from Saddleback Irvine South to South Manila. This journey started 40 years ago when Natalie’s parents answered God’s calling to be missionaries in Manila, where she grew up. This return home and new venture for the Halls is just another amazing story of Daring Faith. Read an interview with Pastor Matt about how he plans to reach South Manila for Christ. The launch of Saddleback’s 18th campus comes with great anticipation and celebration. Saddleback en Español is in full swing and will launch on Easter at our Lake Forest campus. As you know, our church is an all-nation congregation that speaks over 87 languages. With a growing Spanish speaking community, Saddleback en Español is another step to removing all language barriers within the fellowship and allows us to worship as one big family. CHECK OUT some of the exciting ways God has already blessed this launch and learn more about the vision for this campus. Please continue to pray for a successful launch. A – Assist 250,000 needy people through our local PEACE Plan. 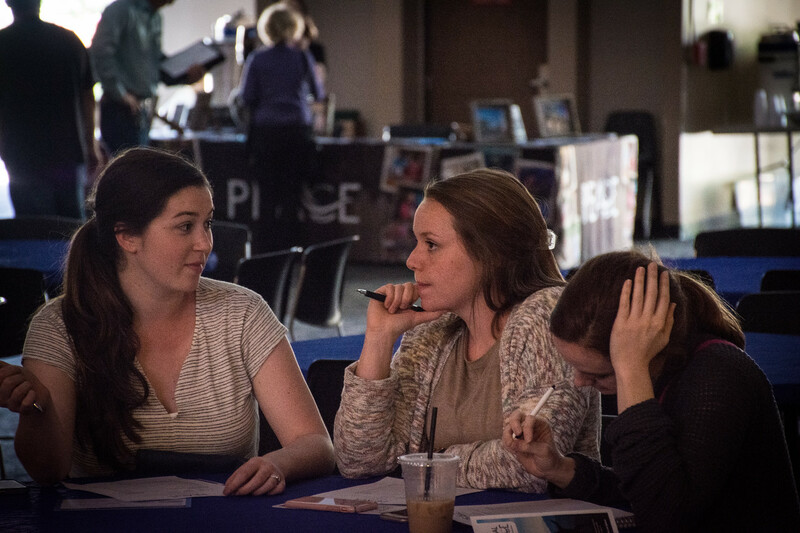 In expanding the work of The PEACE Plan, this month Capital Christian Center (CCC) in Olympia, Washington put faith into action by opening the doors to their very own PEACE Center. Their decision came after several staff from CCC toured Saddleback’s Lake Forest facilities and were encouraged and mentored by our own PEACE Center team. This is one more example of the reach and influence Saddleback has in the world. 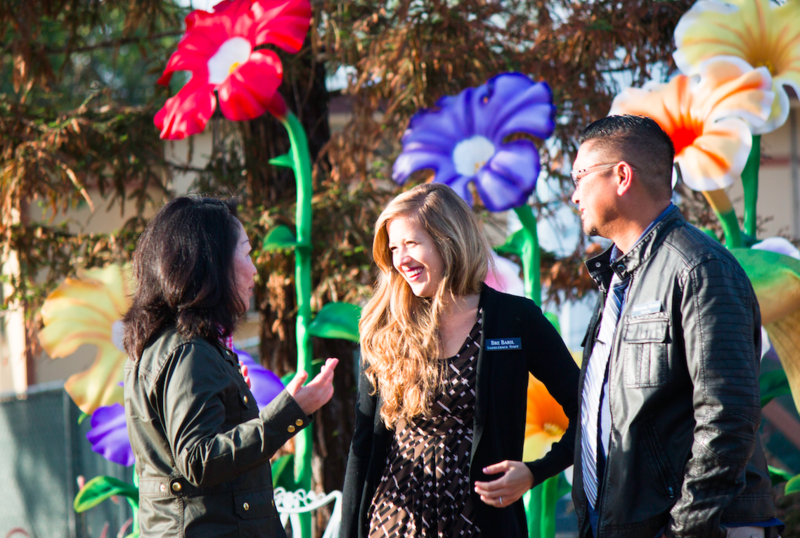 Click to read this inspiring story of PEACE and how it will transform Olympia, Washington. I – Interconnect our growing fellowship through new technologies. 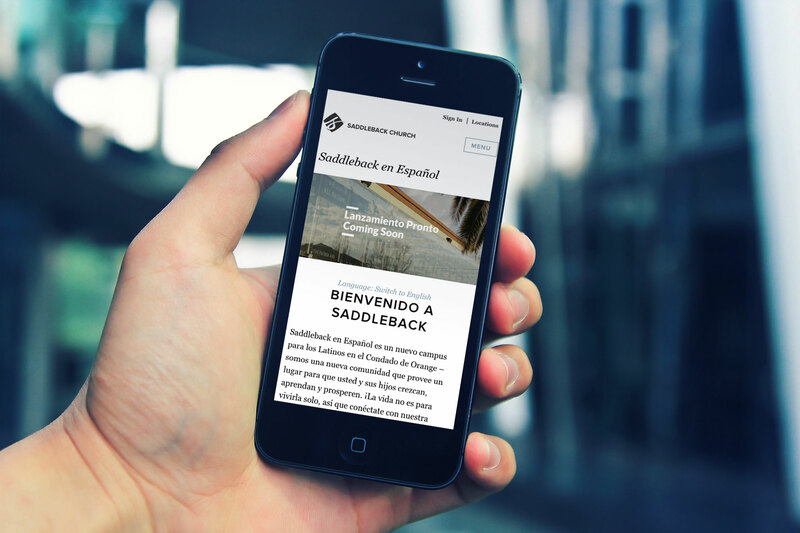 The month of March was another big step toward interconnecting our growing fellowship—from the redesign of our Online Campus website, to the new Spanish template for Saddleback.com. Click HERE to read how these projects are making a major impact across our campuses. Additionally on March 13, Pastor Buddy Owens dedicated three days to teaching an all-new and innovative small group study called The Beatitudes, available in late spring. What makes this project so pioneering is The Beatitudes will be the first published study filmed in our brand new Interconnect Room. This facility allows us to teach to a live audience, broadcast to multiple campuses, stream online, and archive for multimedia distribution . . . simultaneously! Learn more about how this new technology is already making an impact in our church. T – Train 25% of our members to be global leaders in the church and ministry, in business and the community, and in the arts and media. 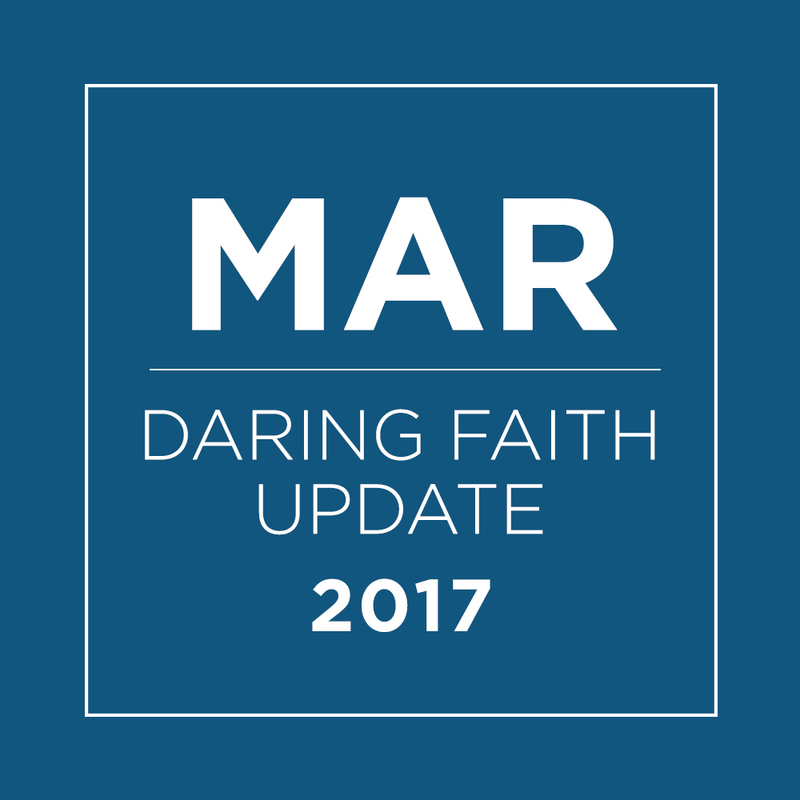 March was one of our biggest months yet when it came to working toward our Daring Faith “T” goal. Our members participated in over 20 new training programs, including the So Cal Lobby Gathering, PEACE Practical, Orphan Care Training, and Communications Workshops. Click HERE to read updates from our ministry leaders, and the creative ways they are equipping our members to be skilled leaders for Christ. H – Help take the Good News to the last 3,000 unreached tribes on earth. 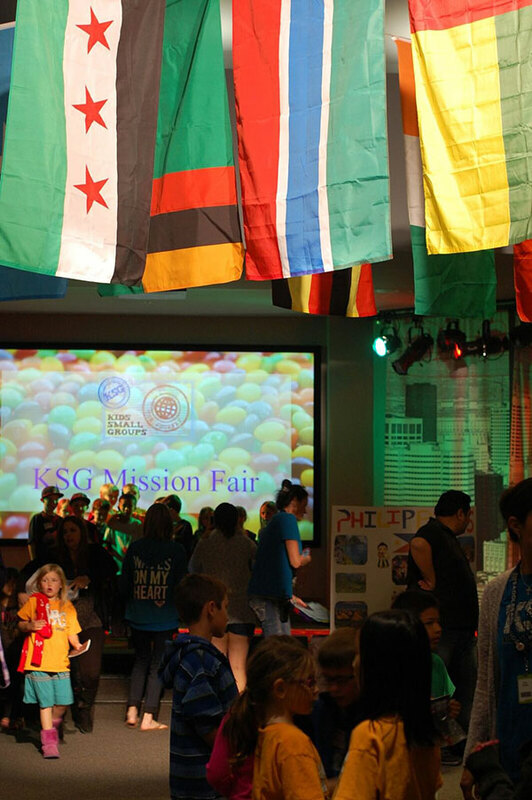 This month, Saddleback Kids proved you’re never too young to have Daring Faith by participating in the Kids Small Group (KSG) Mission Fair. Over 1,200 students attended the annual event held at our Lake Forest campus. READ how this event educated and inspired kids to be part of God’s work—personally, locally and globally; and learn ways how your kids can make a difference around the world. Saddleback’s Purpose Driven team hosted the PD Regional Directors’ Gathering and the International Partnering Churches (IPC) Event which are designed to mobilize churches to help fulfill the Great Commandment and Great Commission. Representing 12 of the 14 African regions, our Purpose Driven team equipped church leaders and world changers with best practices and strategies that will propel their church to health and growth. Learn More about how Saddleback is reaching unreached people groups with no Bible, no believer, and no body of Christ. Thank you for your ongoing commitment to Daring Faith. YOU are the reason we can make a difference through these five God-inspired goals. Read our latest story that represents hundreds of lives that are being transformed because of your Daring Faith. Rosana had a comfortable life in California but felt God urging her to return to her home country of Brazil. When a Saddleback pastor invited her to join a PEACE trip to Rio, Rosana wrestled with the idea. Read how Rosana’s step of faith brought freedom to churches through Celebrate Recovery. READ MORE! To start giving to Daring Faith, make changes to your commitment, or simply learn more about how Saddleback is making a difference around the world, visit saddleback.com/daringfaith.